I have recently changed up my PM cleansing skincare routine and I have found it has made such a big difference to my skin that I had to share! It all started with the Clinique Sonic brush which was kindly gifted to me and I decided to try out. 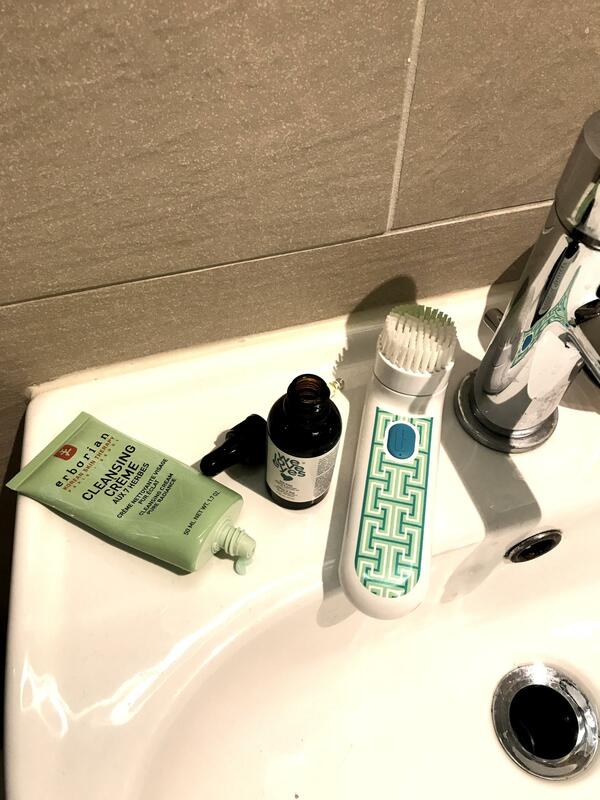 I had tried out the Clarisonic a few years ago and although I liked it, I did feel that overall it felt quite harsh on my skin so I eventually stopped using it. However over the last few months, I had really been feeling as though it needed a proper exfoliation; not just the kind that happens once in a blue moon, but a routine that would allow me to lightly exfoliate my skin without feeling as though it was being stripped and dry. I also felt like my makeup removal routine wasn't really working when I kept waking up and finding tiny black dots (ie the remains of mascara) around my eyes. All in all, I felt like a change and for a cleansing routine that was quick but also made a difference. 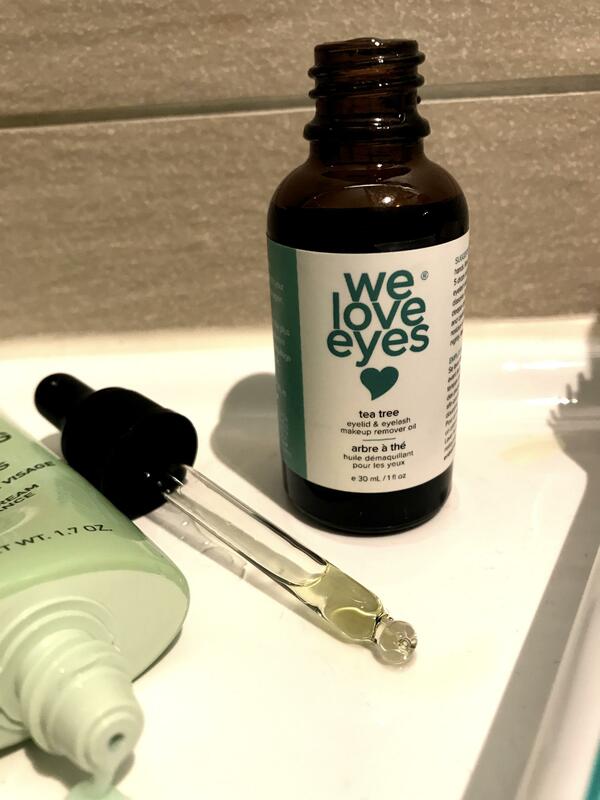 The first thing I do is remove my eye makeup with the We Love Eyes tea tree oil, which I love and let me tell you why! This oil not only free of any horrible ingredients and feels super nourishing but it also ACTUALLY WORKS by removing all my eye makeup without the harshness of some other eye makeup removal products. I simply put a few drops of the oil onto my fingertips and place them on my eyelids and lashes and gently massage them in, removing any eyeshadow, liner, and mascara as I go. I then use a muslin cloth to remove the eye makeup and oil with warm water. 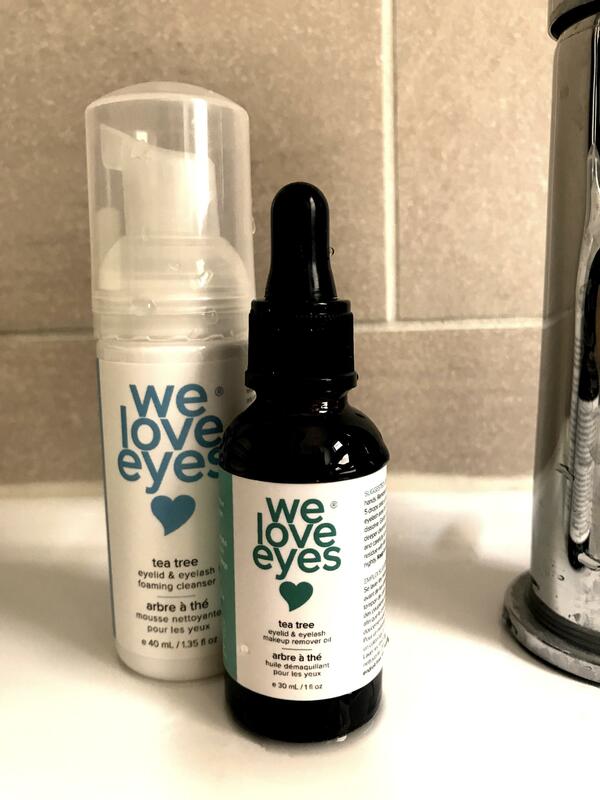 I sometimes then follow up with the We Love Eyes foaming cleanser to truly clean my eyelids and then move on to the rest of my face. I use water and the Eborian cleansing cream to remove any face makeup again with a muslin cloth and TA-DAA! all the makeup is removed in less than 5 minutes! Next, I follow up by putting a small amount of the Eborian cleansing cream onto the Clinique sonic brush and brush my face, ensuring I cover my cheeks, nose, chin and forehead and then wash off with water. This final step is honestly what makes my skin so incredibly soft and smooth! I have been following this routine for the last 2 months and have noticed a huge change in the texture of my skin, so long may it continue. I used: Clinique Sonic brush, Eborian cleansing cream, We Love Eyes tea tree oil, and the We Love Eyes foaming cleanser.